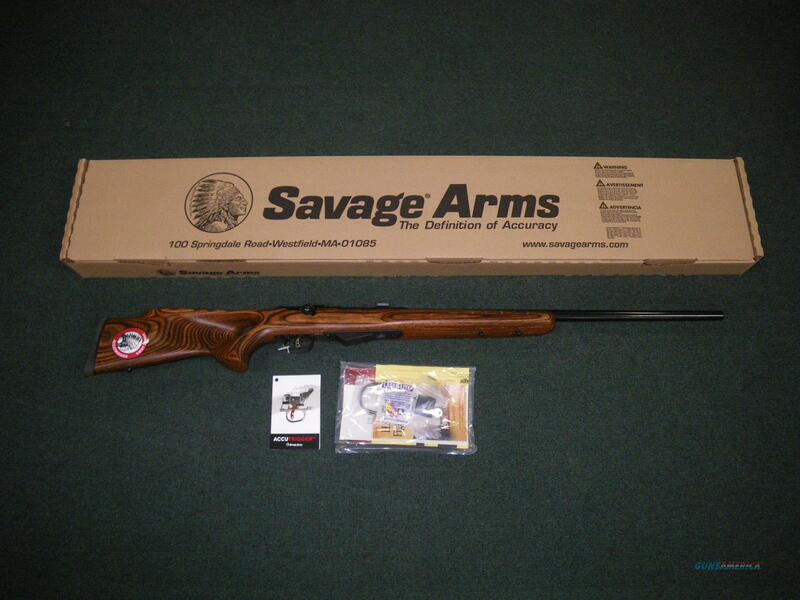 Description: You are bidding on a new Savage Model 25 Lightweight Varminter in 222 Remington with a 24" barrel and T-Hole stock. Weighing in at about 8.25 lbs. and measuring 43.75 inches, the Model 25 Lightweight Varminter gives a versatile combination of agility and accuracy. This rifle features a 24" medium-contour, satin blue barrel that's sleeved for added rigidity. It comes equipped with Weaver-style scope bases and triple pillar bedding. The Model 25 has a 3-lug bolt that features a 60-degree throw that allows for a large diameter scope to be mounted low on the receiver. The revolutionary AccuTrigger, adjustable from 2.5 -3.25 lbs, is standard on the Savage Model 25 as well as a 4-round, detachable box magazine. Displayed images are stock photos. Any questions please feel free to ask (our phone number is in the additional information tab above).